This bi-state ride begins in Cincinnati, Ohio, and runs along the Ohio River in Northern Kentucky. The winding ride goes through many scenic parks, passes by farm stands, and includes a river crossing. 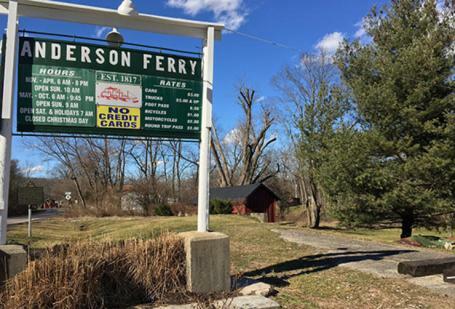 The Anderson Ferry (in use since 1817) costs $1 per bike. Read more.